A senior United Russia MP has said the parliamentary party is ready to support legislative changes introducing the confiscation of property as punishment for terrorism. The comments by deputy head of the United Russia parliamentary caucus, Frants Klintsevich came after the legislature of the Chechen Republic on Monday drafted an amendment to the criminal code that, if passed, would allow property belonging to terrorists to be used to compensate for damage inflicted during their attacks. These could include terrorists and their accomplices and also their relatives and other persons if investigators prove that they knew that the crime had been prepared but did nothing to prevent it. 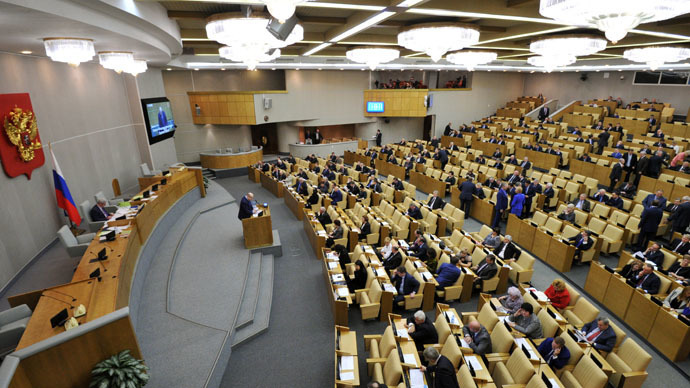 Klintsevich told the TASS news agency the motion deserved most careful studying and added that he fully supported any bill that would increase the responsibility for terrorism. However, the senior United Russia MP argued that demanding compensation from the relatives of convicted terrorists could be an excessive measure. “The Russian Criminal Code already provides for punishment for those who knowingly fail to report about the preparation of a crime. The same applies to the participation in a criminal conspiracy. It does not matter if suspects are relatives or strangers. We should not push the law to the extremes – it is impossible to prosecute parents for badly bringing up their children,” the lawmaker noted. Klintsevich also urged additional caution from fellow MPs, saying that once the bill is passed it would become law not only in Chechnya or the North Caucasus, where the authority of older generations is traditionally higher and parents tend to know more about their children, but in the whole of the Russian Federation.